This week, we retrace the roots of Modernism to the East Coast of the United States. 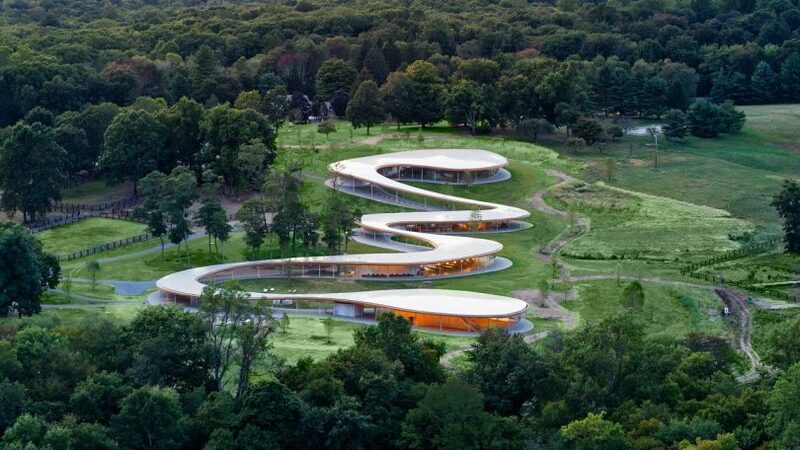 Connecticut, in particular, was the home of a group of five architects otherwise known as ?The Harvard Five? who settled in New Canaan in the 1940s. The architects, Landis Gores, John M. Johansen, Marcel Breuer, Philip Johnson and Eliot Noyes are often credited for bringing the advent of Modernism to America. They were all influenced by Walter Gropius, who founded the Bauhaus movement in 1919, and then head of the Architecture program at Harvard University that Marcel Breuer taught at. A mere one to two hour drive away from New York, Connecticut has become known as a retreat from the city with sprawling homes and seaports and the home of Yale University. If it has long been overshadowed by the Big Apple and the close neighbours at the Hudson Valley, we hope this travel guide can show that Connecticut is a design destination in its own right. Philip Johnson’s Glass House. Photo: Michael Biondo. Perhaps the most famous of Connecticut?s Modernist jewels is Philip Johnson?s Glass House, a transparent, 1,800 sqft glass box that Philip Johnson built in 1949 and lived in in New Canaan, CT. What people are less familiar with is that the Glass House is not a singular building, it?s also part of an entire estate with 8 other buildings.